Join us for a regional product celebration. 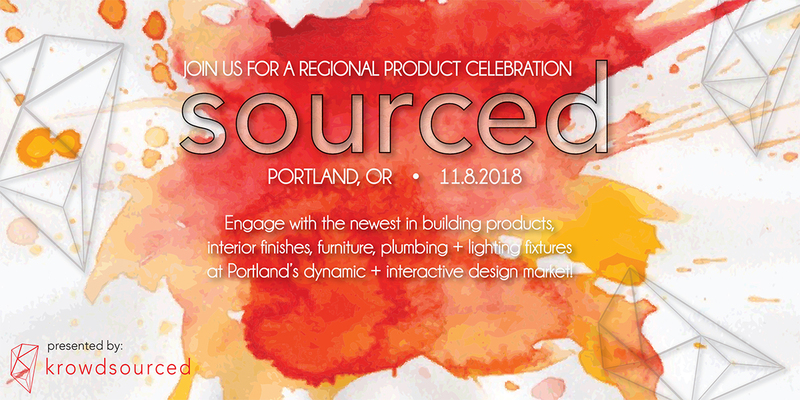 Engage with the newest in building products, interior finishes, furniture, plumbing + lighting fixtures at Portland's dynamic + interactive design market! Over 12,000 sf of new products for the design community. How to build a service-driven culture to foster happy customers and employees to increase revenue and business growth. Get ready to be inspired and ready to change the world with our Keynote Speaker, Jill Nelson, CEO and founder of Ruby Receptionists. Named one of FORTUNE Magazine’s Best Small Companies to Work for in the US, one of Inc’s Best Workplaces, and one of the 100 Best Companies to work for in Oregon, Jill Nelson knows first hand what it takes to build a company with a culture that supports all employees. Her talk will focus on creating a healthy work culture that benefits you and your customers. Start your day learning from the best and walk away with ideas to implement in your own business! Find the materials you need to make your next project the most exciting, most sustainable, and the best for your client! Network with the best in the industry. Catch up on your continuing education credits. Nosh on snacks and beverages served all day. Need some credits? sourced has you covered, featuring a selection of courses with AIA HSW, IDCEC, and GBCI credits just for you! See link for schedule of classes and detailed course information. Peruse course offerings here. 5:30 Portland Design Events Lecture at Ziba. Are you a manufacturer interested in reserving a space? All available Sourced booths have been reserved. If you are still interested in attending or would like to learn about additional sponsorship opportunities, please contact Kristen at kristen@krowdsourced.co. If you are interested in being added to our krowdsourced manufacturer library please email hello@krowdsourced.co. We would love to connect.